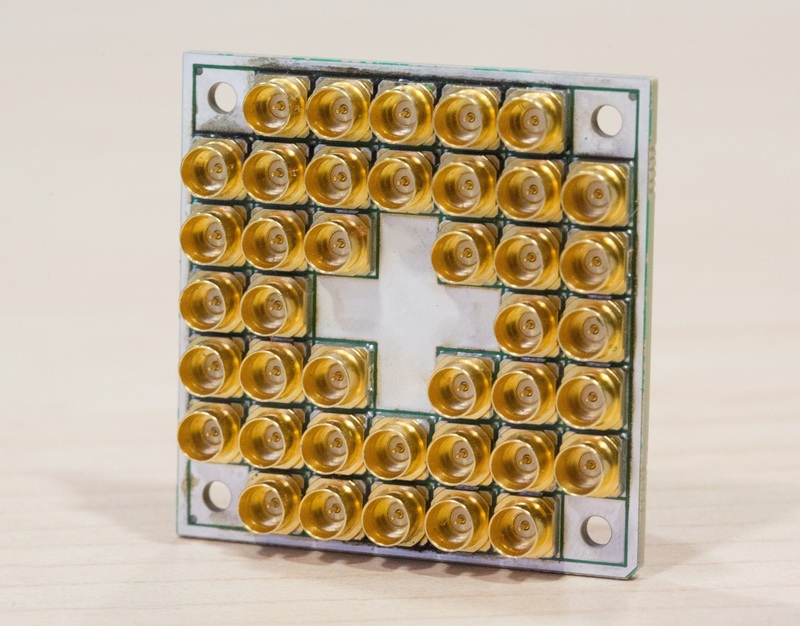 Intel’s quantum computing efforts have yielded a new 17-qubit chip, which the company has just delivered to its partner in that field, QuTech in the Netherlands. It’s not a major advance in the actual computing power or applications — those are still in very early days — but it’s a step toward production systems that can be ordered and delivered to spec rather than experimental ones that live in a physics lab somewhere. Intel’s celebration of this particular chip is a bit arbitrary; 17 isn’t some magic number in the quantum world, nor does this chip do any special tricks other quantum computer systems can’t. Intel is just happy that its history and undeniable expertise in designing and fabricating chips and architectures is paying off in a new phase of computing. I chatted with Intel’s director of quantum hardware, Jim Clarke, about the new system. It’s not quite like popping out a new Core processor every year, but there’s plenty of overlap. That isn’t easy when the field of computing they’re attempting to enter is largely theoretical. That’s why partners like QuTech, a research institute under TU Delft, are essential. Intel isn’t short on big brains, but a dedicated facility under a major technical university is likely more fertile ground for this kind of bleeding-edge work. The basic relationship is that Intel makes the chips, and QuTech tests them with the latest algorithms, models, and instruments. They turn around and say something like “that was great, but we’ll need at least 14 qubits to do this next thing, and we saw a lot of interference under such and such conditions.” Intel jots it down and a few months later (there’s no set timeline), out comes a new one, and the cycle repeats. I’m simplifying, of course, because I don’t know the details of all this quantum tomfoolery (who can, really? ), but that’s a powerful cycle to nurture. The results so far let Intel boast of a chip that, thanks to the company’s manufacturing prowess and the work by QuTech, has considerably improved in reliability and performance over the last two years, while the architecture, system infrastructure (such as interconnects and testing methods) and so on have evolved alongside. Of course, these amazing quantum computers still don’t really do anything yet — and they have to operate at around 20 thousandths of a degree above absolute zero. But the first problem is more exciting than limiting (the potential of these machines, theoretically, is enormous), and the second one, to my surprise, isn’t really a big deal any more. Turns out (perhaps you knew, but I didn’t) that you can package a multi-qubit quantum computing system, cooled to the millikelvin level, in an enclosure the size of an oil drum. There’s a long way to go in the quantum computing world, but it’s a no-brainer for companies like Intel to bet on the concept; its billions of dollars in infrastructure serve excellently for collateral.